Look Who's Back For The DOCTOR WHO Series 9 Finale | Warped Factor - Words in the Key of Geek. 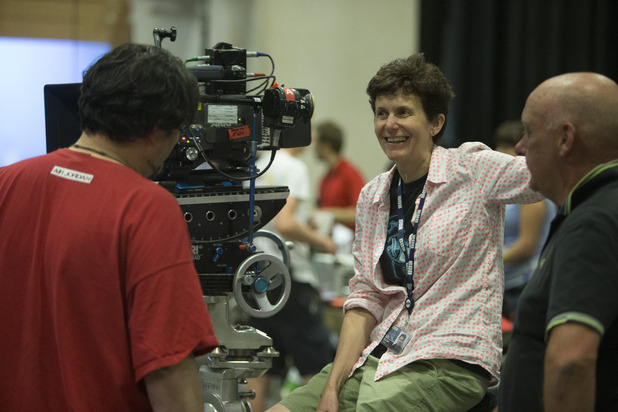 If you were a fan of the Doctor Who series 8 two-part finale, Dark Water & Death In Heaven, then you'll be pleased to know that the director Rachel Talalay will be returning to helm episodes 11 and 12 of the new season. Outside of Doctor Who, Talalay has previously been responsible for episodes of Supernatural, Continuum and Haven, amongst many others, as well as the movies Tank Girl and The Borrowers. "I’ve figured out the cliffhanger to the penultimate episode of [series 9]. And it’s a whopper. Ohh, I don’t think you’ll see this coming!"